We’re building you a new GO Station to move you around our region. As part of GO Expansion, the all-new Bloomington station in York Region at Highway 404 and Bloomington Road will provide you with more service options on the Richmond Hill line. The station will have ample parking for vehicles and bikes as well as a passenger drop-off and pick-up area, keeping your commute as easy as possible. You’ll also enjoy modern waiting areas complete with heated shelters and parking for electric vehicles. 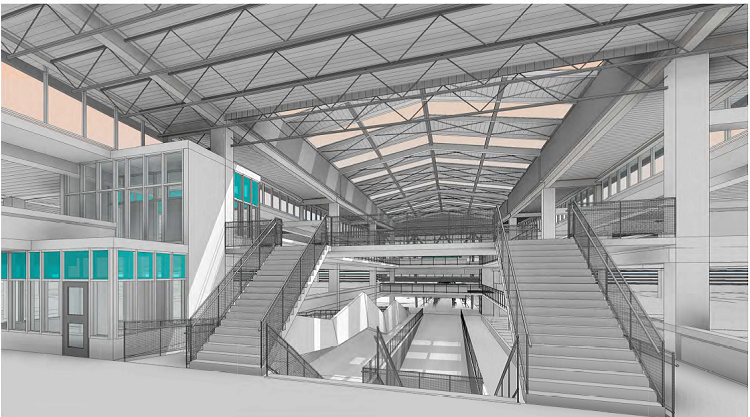 Bloomington Station will get you where you need to be better, faster and easier. We’re making it easier for you to get in and out of the station, no matter how you get to Bloomington. Easy access to station from Highway 404 for drop off and pickups. Future MTO parking lot (by MTO) for ride sharing and commuting to Toronto. Enhancing comfort for a better customer experience. Parking structure equipped with car counting system which allow customers to locate available parking spots faster. For updates during construction at the station, please visit gotransit.com for information. Learn more about plans for Richmond Hill GO expansion.